We take pride announcing and congratulating ABC‘s Edelweiss School team in winning the first place for their effective presentation on ’Usage of Alliteration in Phonics! Way to Go Edelweiss! Throughout the year there are several training sessions which help in meeting their goal. 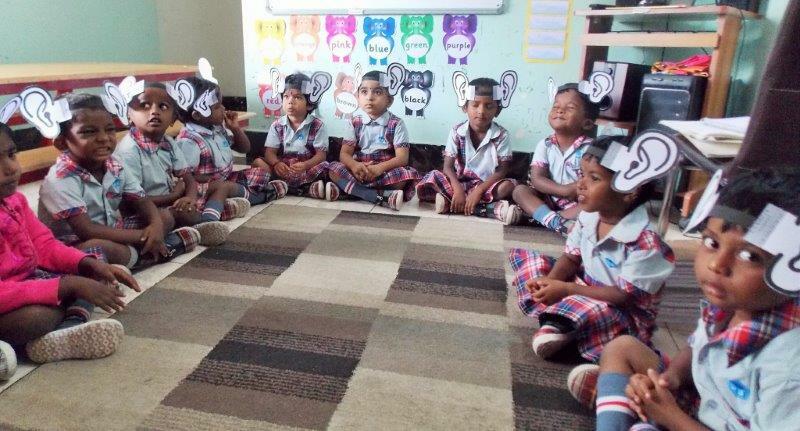 This month too, all the teachers of Building Blocks Schools had workshops on Phase One Jolly Phonics and were also given a topic on which the teachers had to make lesson plans, demonstrate and present the topic in front of all the other schools. This month they learned about even numbers, odd numbers, before and after numbers and in between numbers. They learned to read and circle the correct number of tens and ones plus addition of numbers through concepts. Also they learned to write numbers from 1-100 and to identify and write missing numbers. 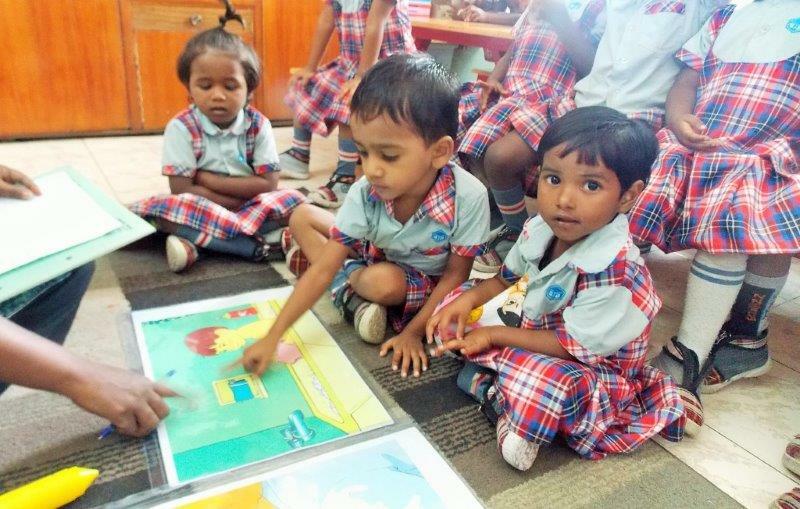 Our K4 Children learned numeration with activities like – additional sacks, counting clovers, empty sets, equation board and ordinal numbers. 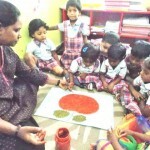 In Jolly Phonics children reviewed the Jolly sounds for the alphabets. They continued learning blending, segmenting, reading high frequency words, CVC words and tricky words. They learned to blend words using diagraphs. Also, they were introduced to reading simple sentences from simple readers. Our K4 children learned the sounds of letters f, b, j, z, a, i, r, m, d, g with stories, actions, formations and with blending examples. 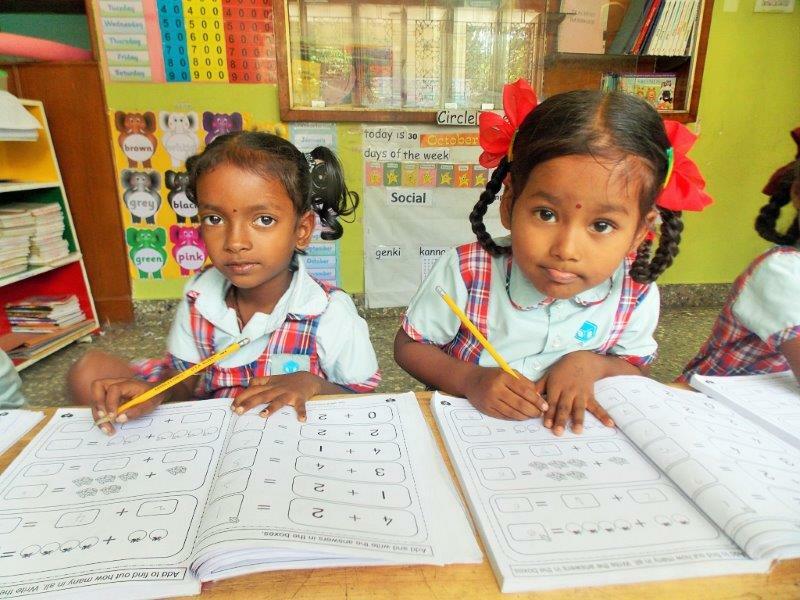 This month children reviewed all the letters of Kannada language. This month they learned about neighboring states, cities, languages, famous monuments, famous personalities etc. Learning packed with actions and stories! Fun with Math – Sinkers and Floaters! The whole month was packed with activities. 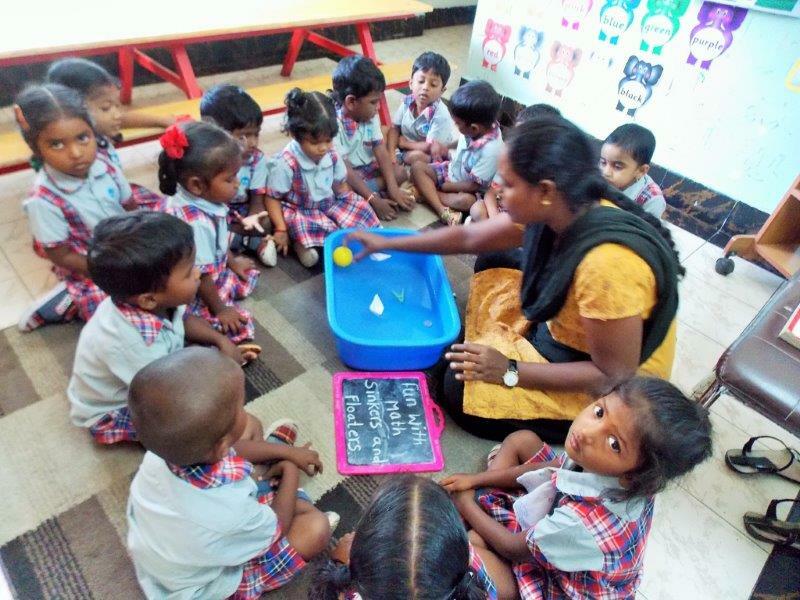 Children learned about textures, sinkers and floaters, identifying sounds of various objects, matching shadows etc. In Jolly Phonics they continued learning Jolly Phonic aspects for letters s, a, t, i with the help of story, action and formation. 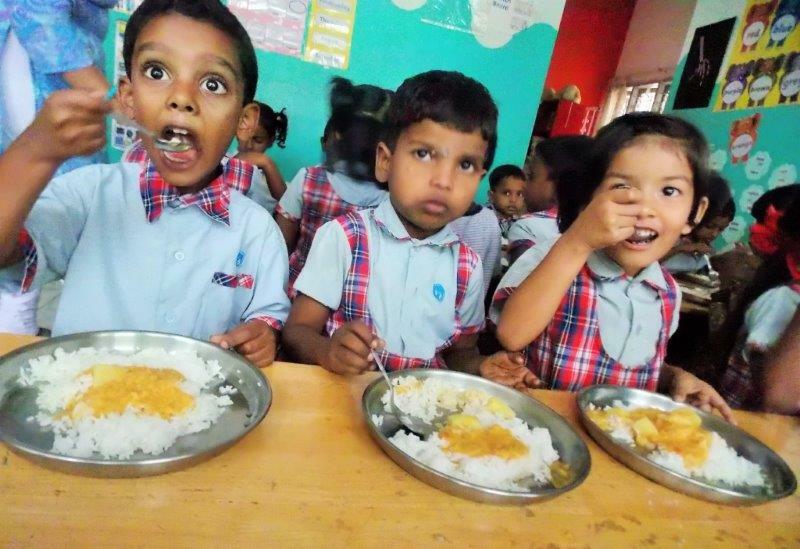 They learned to be attentive and to tell a story – “I am hungry”. With a total of 38 students of grades 1, 2, 3 and 4 the ASP program is going very well. 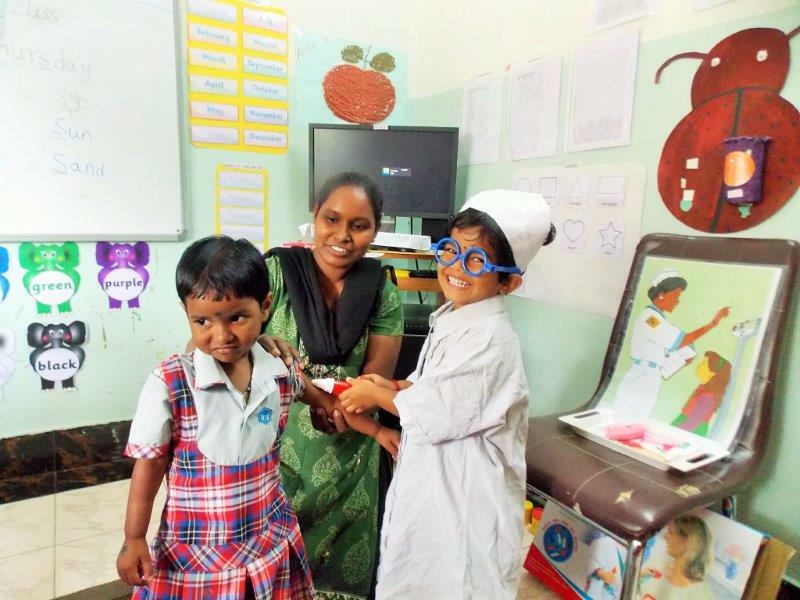 This program helps the students in the evening with their homework which they bring back from their respective schools. This program is a supportive program which assists our previous graduates to keep up with their school work. 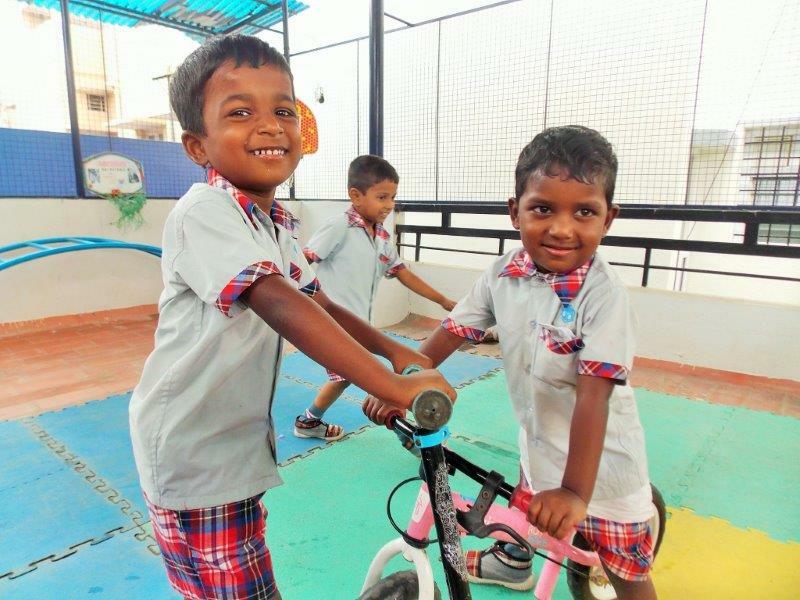 This month the program ran for 14 days with a total attendance of 294 children. ABC provides evening snacks in the ASP program. 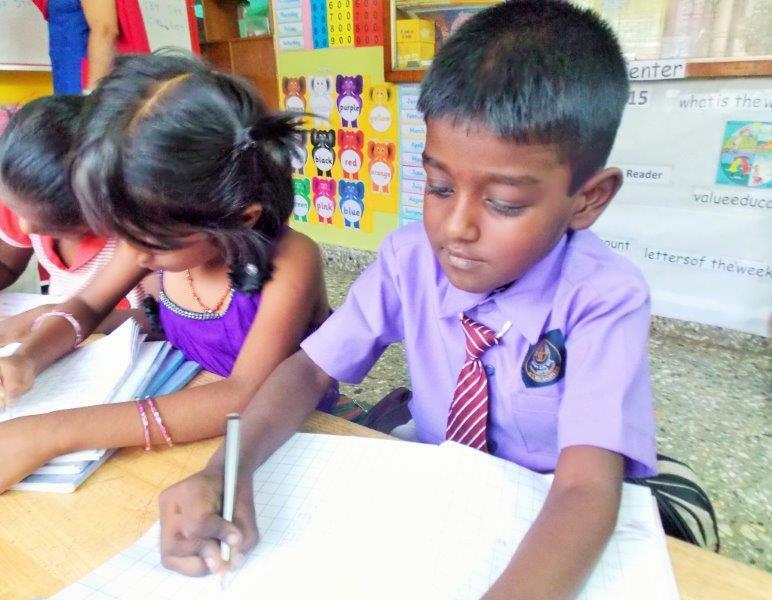 This month children were engaged in preparing for the quarterly exam scheduled in October and also were busy completing their pending classwork. A “Phase 1 Phonics” workshop was held at Daisy school, starting at 10:30 am on Saturday, 3rd October. The managers and teachers from all of the schools were present. Each school had been briefed to put together a new lesson based on one of the “7 Aspects” of Phase 1 Phonics. Each school was required to do a demonstration lesson, provide a detailed lesson plan, and describe their first experience of using Phase 1 Phonics. The teachers showed a high level of participation and demonstrated an impressive selection of activities based on their particular aspect. They showed good team work when delivering the lessons and used a variety of musical instruments and props to make the lessons more interesting for children. The teachers learned a great deal from observing the different ways of doing things and then discussing their ideas and opinions of what they thought of each lesson. First place went to Edelweiss for a very child-friendly “alliteration” lesson, involving a sandpit, digging activity, and a catchy song. Second place went to Freesia for their superb demonstration of musical instruments and how to use them. It was done in an engaging story form using homemade puppets. Third place went to Carnation school who gave five short examples of “blending and segmenting” lessons. Their demonstration showed a clear understanding of technique and made effective use of props. All the schools were congratulated for their participation and contributions to the workshop. We are happy to say their understanding of Phase 1 Phonics continues to improve and benefit their students. Birthdays are special for everyone. 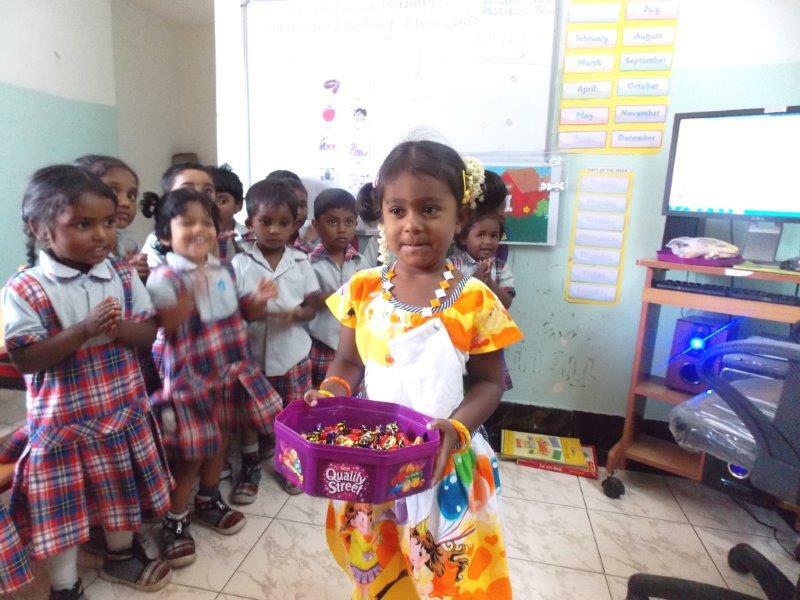 Children express great joy in celebrating their birthday with their friends! Here are a few pictures from the birthday celebrations. 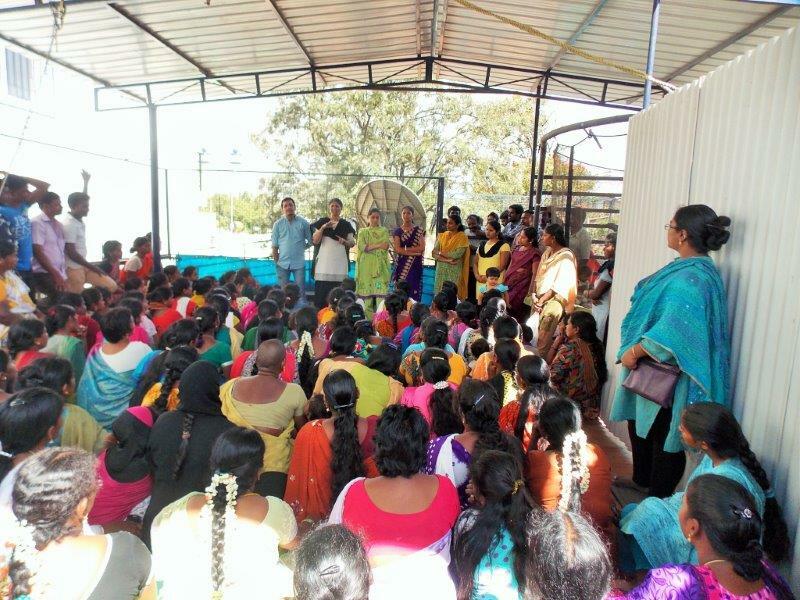 A parent meeting was conducted by Christina – Social Worker, Asma – Finance Head and Tom – Edelweiss Project Manager on the monthly savings scheme. 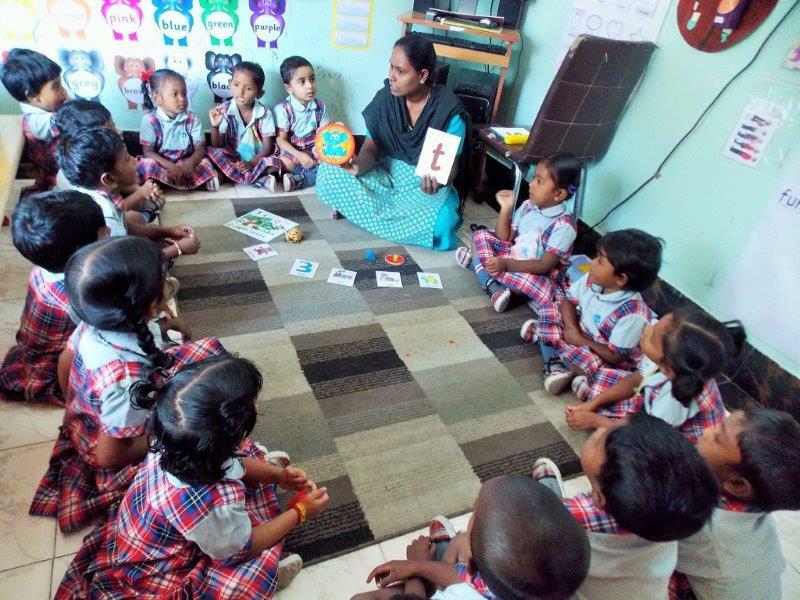 This scheme has been stopped because of irregularity of payments from the parents every month and Building Blocks informed the parents to collect their savings money from the Edelweiss center head.